Having taken over the Norwegian utility Statkraft's shares in Himal Power Ltd in 2006, SN Power is undertaking two hydropower projects in the Tamakoshi Basin: Kirne (67 MW) and Tamakoshi-3 (880 MW). SN Power's Vice-President and Country Director Sandip Shah spoke to Nepali Times about the challenges and rewards for investors in Nepal. Nepali Times: People are surprised that SN Power is investing in a big new project in Nepal at a time when most others are pulling out because of political instability. Sandip Shah: SN Power's majority shareholder Statkraft was in Nepal from the early 1990s as the majority shareholder of Himal Power Ltd (HPL), the company that developed and is operating the Khimti plant. We have been here through the peak of the insurgency and other periods of instability. We have braved the tough times. At SN Power, we have a long-term view of our investments in Nepal. Since the situation has improved, greater opportunities have opened up, so we have embarked on two projects, one of which is fairly large in Nepal's context. What kind of contingencies did you have to take into account with a big project like Tamakoshi-3? Nepal, like other emerging markets where SN Power operates, has various risks. Geological and hydrological risks, risks of glacial floods and earthquakes, political risk...but we have good systems in place for planning, risk assessment and risk management. We feel we are strategically well-positioned and well prepared in Nepal to develop large projects. But Tamakoshi is an export project. Doesn't the delay at West Seti make you nervous? The Indian market is a key driver for off-take of the energy from mega-sized hydroelectric projects. Of course we recognise the need for power supply in Nepal, and are discussing power sales to Nepal with the authorities while finalising our commercial strategy. To develop such large projects, banks and financial institutions look for a robust commercial strategy that involves more than one creditworthy buyer. The best scenario for Nepal is a combination of large and small scale hydropower development driven by a mix of export and domestic sales. By the time your Tamakoshi project comes on line we in Nepal will be needing that power. Tamakoshi-3 is scheduled to come on line in 2016/17, after commissioning of the Upper Tamakoshi Project, which will go a long way to meeting domestic demand. However, we are in dialogue with the Government of Nepal for the best sharing of benefits between the developer and the host country for Tamakoshi-3. A lot of private power projects have ground to a halt because of local threats and extortion. How have you dealt with this problem? Local expectations are rising due to the political and security situation in the country. We have a robust corporate social responsibility program and a good and long-term relationship with our host community in the Tamakoshi Valley. This has created an atmosphere of support for our projects. Security in Nepal is still a challenge of course, and safety for our people will always be our top priority. What is the response to the social development programs in Dolakha? Since SN Power aims to make long-term profits in its operations, it is very important to support sustainable socio-economic activities in the vicinity of its area of operation to improve the standard of living of the local communities. We have a dedicated team that works solely with these issues right from the project development phase, and we see this as an integrated part of our business. SN Power has gained recognition as a 'good neighbour' and a 'partner' rather than an 'adversary' in development. What is your message to other investors wishing to get into hydropower in Nepal? My message is that they need to be patient and have a long-term view of their investments. 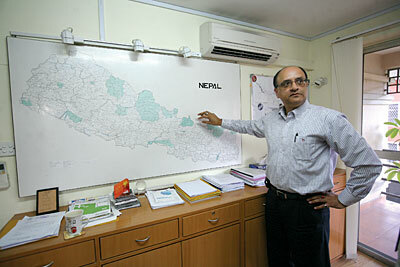 Nepal offers great opportunities and the country's natural water resources are immense. We believe that Nepal's hydropower resources can be harnessed in an optimum manner for the benefit of the people of Nepal. Investing in hydropower development in a country like Nepal is still very high risk, and it requires proper support from the political and bureaucratic levels and from the people of the project areas. We have an open communication system, but sponsors like us and financial institutions require that the right message, with proper research and analysis, is delivered for public consumption. 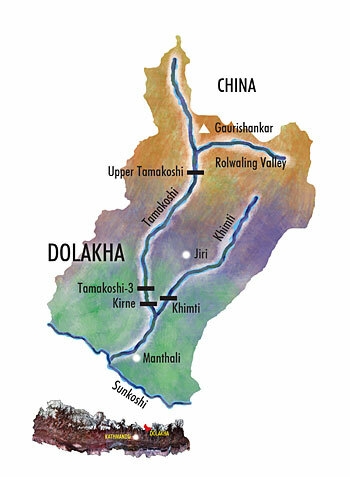 With three major hydropower projects coming up with a cumulative capacity of nearly 1,500MW, the Tamakoshi basin in Dolakha is emerging as a major powerhouse for the domestic energy grid, export to India and local development. While the Nepal Electricity Authority is moving ahead with Upper Tamakoshi (309MW), the Norwegian company SN Power is expanding to build Tamakoshi-3 (880MW) and Kirne (67MW) in addition to its existing Khimti power plant (60MW). What makes the Norwegians unique is that they have not just stayed in Nepal through the war years, but are now expanding into a major new venture that is designed to export peak power to the Indian grid through a dedicated transmission line. Tamakoshi-3 could be the first project that will realise the long-term goal of reversing Nepal's balance of trade deficit with India, through energy export following completion in 2016. Like other private power operators in Nepal, SN Power's Khimti went through the disruptions and delays of the war years when its mini-hydropower plant, needed for the construction phase, was blown up by the Maoists. But the company persevered and is now ploughing profits from its existing Khimti plant into the larger Tamakoshi-3 and Kirne projects. SN Power's country director, Sandip Shah, says the key to his company's staying power has been its deep involvement in the socio-economic development of over 25 VDCs in Dolakha. The company has spent $12 million on rural electrification of villages along the Tamakoshi basin, and building water supply systems and roads. SN Power handed over a mini-hydropower plant and rural electrification network in the Khimti Valley to a community-managed cooperative it helped establish. While there was 16-hour loadshedding in the rest of the country, Dolakha had 24-hour power. Shah's advice to other projects facing local opposition is to work with the local comunity right from the implementation stage, not as an afterthought. He adds: "You have to build up local support and acceptance for the mutual benefit of the project, the host community and the national economy." Build a dam near Mansinghtar on Sunkosi; to transfer the water of Sunkosi to Trijuga through a tunnel . Generate electricity and irrigate the fields. Convince the Indians of the mutual benefit for both the countries. Why build a high dam , Saptakosi ? build 3 dams at eachone sunkosi, Arunand tamur. Build as many diversion projects to irrigate the Tarai and for uniform distribution of water and to control flooding in the plains of Nepal and India Bihar ,will be benificial for both. Ground water will also be augmented in both the countries..
you should've asked him more on the disaster called khimti! khimti is the name of the project which was imposed on poor nepalis by rich norwegians for rapacious profit, and sn power is the same company that did it with a different label. norwegians have taken home profits that is multiple times the initial investment just in few years. and this is not because of good biz practise, this was all by bribing, hand-twisting and massaging rules of this country solely for their profit making. khimti is an example of how not to do hydro projects in nepal .. where is nepali times' journalism in shedding some light on that while talking with ceo of the company that did it? Actually Nepal should get rid of people like asdpj, who loves to play at the current state of Nepal. These kinds of people do nothing but raise their voice against all kind of development works, and if possible padlock the entire projects so that they could make a living.